What does Gaming Together mean to you? SpecialEffect are asking gamers to join Xbox’s #GiveWithXbox campaign by posting their answers, along with an image and the hashtag #GiveWithXbox, to raise vital funds for four gaming-related charities. For every qualifying post on Twitter, FaceBook and Instagram, Xbox will donate $5, up to a maximum of $1M, to be split among SpecialEffect, Child’s Play, Gamers Outreach and Operation Supply Drop. Xbox will also donate $5 for every retweet of their campaign tweets about the charity partners. The campaign will run to 9 December 2018. The #GiveWithXbox Campaign was launched as part of the Inside Xbox broadcast from X018 on 10 November. 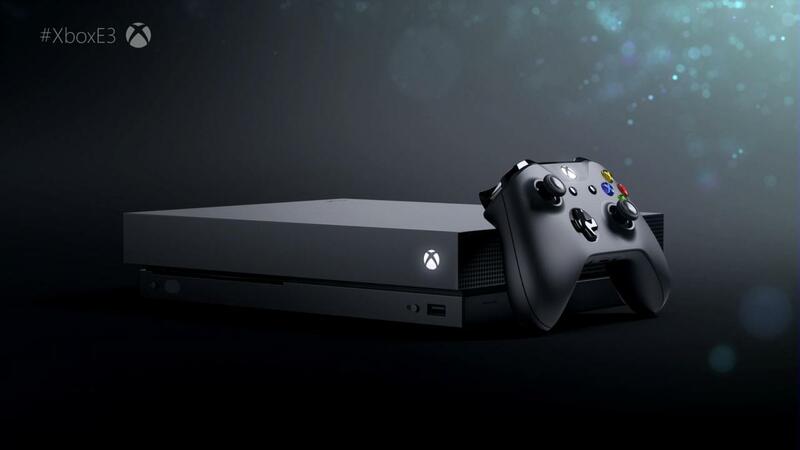 Sunday’s Xbox E3 Briefing was the largest in Microsoft Corp.’s history with more than 6,000 people, including more than 1,000 fans, invited to attend in the Microsoft Theater. Microsoft announced it is doubling its game development studios and showcased a record 52 games on stage including 18 console launch exclusives and 15 world premieres. The diverse lineup included games for every type of player, from exclusives like “Forza Horizon 4,” “Halo Infinite” and “Gears 5,” and independent titles like “Session,” “Below,” “Ashen” and “Tunic” to some of the biggest blockbuster games coming in the next year like “Fallout 76,” “Tom Clancy’s The Division 2,” “Kingdom Hearts 3,” “Devil May Cry 5,” “Battlefield V,” “Metro Exodus” and “Shadow of the Tomb Raider,” many enhanced to take advantage of the power of Xbox One X.
Playground Games . Microsoft has acquired U.K.-based Playground Games, a development partner since 2010 that has helped grow the “Forza” franchise to new heights. In addition to its work on this year’s “Forza Horizon 4,” Playground Games will have a team dedicated to bringing their open-world expertise to an entirely new project. Ninja Theory . The relationship between Ninja Theory and Microsoft started in 2000 when “Kung Fu Chaos” was in development for the original Xbox and culminated in the release of “Hellblade” on Xbox One earlier this year. Microsoft’s intent to acquire Ninja Theory will help ensure the creative team has the resources and freedom to bring more ambitious games like “Hellblade: Senua’s Sacrifice” to fans. Xbox One continues to be the best place to play the biggest blockbuster games with over 220 titles enhanced for Xbox One X, the world’s most powerful console, with new games leveraging the power of the platform from some of the world’s most talented creators like “Fallout 76” from Bethesda Game Studios, “Cyberpunk 2077” from CD Projekt Red, “Tom Clancy’s The Division 2” from Ubisoft Massive and dozens more. Independent game creators also continue to innovate on Xbox One with games like “Session,” “Below,” “Ashen” and “Tunic” coming to Xbox One as console launch exclusives. “CRACKDOWN 3” (XBOX ONE AND WINDOWS 10 EXCLUSIVE). “Crackdown 3” brings the boom next February, where players will stop crime as a super-powered Agent in a sandbox of mayhem and destruction. Developed by Microsoft Studios in collaboration with Sumo Digital and Elbow Rocket, “Crackdown 3” delivers cooperative mayhem, signature antics, explosive gameplay and an all-new multiplayer mode,iiWrecking Zone, where destruction is your ultimate weapon powered by Microsoft Cloud. Available worldwide in February 2019. “PLAYERUNKNOWN’S BATTLEGROUNDS” (CONSOLE LAUNCH EXCLUSIVE). PLAYERUNKNOWN’S BATTLEGROUNDS (PUBG), the tactical, high-octane battle royale phenomenon, debuted footage from two new maps: Sanhok, a smaller-scale, action-packed map inspired by the islands that dot the Southeast Pacific Ocean, and a snow-covered map currently in development. New footage also debuted of War Mode, a deathmatch-style battle royale gaming experience and the world premiere debut of the Ballistic Shield, a new tool for setting up quick cover for explosive and close-distance attacks. Sanhok and War Mode will debut on Xbox in late summer 2018. “TALES OF VESPERIA: DEFINITIVE EDITION” (BANDAI NAMCO ENTERTAINMENT AMERICA INC). Available this winter, “Tales of Vesperia: Definitive Edition” celebrates the 10th anniversary of this cherished RPG with new fully playable characters, events and other additional content never released outside of Japan. Follow Yuri Lowell, a former Imperial Knight, as he befriends a colorful cast of characters throughout the world of Terca Lumireis and finds himself in the middle of a nefarious plot that threatens the destruction of the entire planet. “TOM CLANCY’S THE DIVISION 2” (UBISOFT). Developed by Ubisoft Massive and the same teams that brought you “Tom Clancy’s The Division®,” “Tom Clancy’s The Division® 2” is an online open-world, action-shooter RPG experience set in a collapsing and fractured Washington, D.C. This rich new setting combines a wide variety of beautiful, iconic and realistic environments where the player will experience the series’ trademark for authenticity in world- building, rich RPG systems, and fast-paced action like never before. Play solo or co-op with a team of up to four players to complete a wide range of activities, from the main campaign and adversarial PvP matches to the Dark Zone — where anything can happen. Be sure to preorder now at your Microsoft Store or local retailer. With retail locations across the U.S., Canada, Puerto Rico and Australia, and through Microsoft.com, fans can begin preordering their favorite games and select accessories and hardware from this year’s Xbox E3 2018 Briefing right now. For a list of Microsoft Store locations, visit https://www.microsoft.com/en-us/store/locations/find-a-store . A new system which helps people with Parkinson’s disease overcome debilitating walking problems has been developed by researchers at Brunel University London. Built using Microsoft’s now-obsolete Kinect peripheral, the system monitors for and detects freezing of gait (FOG) in Parkinson’s patients. When an occurrence is observed a laser casts visual cues on the floor according to the patient’s location, helping them release their gait and improve their movement. It’s hoped the system, which was unveiled in the Journal of Disability and Rehabilitation: Assistive Technology and supported by Parkinson’s UK, can be further developed for installing in patients’ homes. “Freezing of gait is one of the most disabling symptoms in people with Parkinson’s, affecting its sufferers by impacting their gait performance and locomotion,” said Dr Amin Amini, a researcher from Brunel’s Department of Electronic and Computer Engineering, who lead the research. The system, whose prototype cost just £137 to build, excluding its controlling PC, works by monitoring a patient’s leg movements in their own home. Whilst similar systems using Kinect have been tested previously, the new system specifically monitors the angle of the patient’s knee and their head direction, offering increased accuracy and a reduction in false positives. Initially launched in 2010, the Microsoft Kinect is a motion-sensing device developed for use with a PC or Xbox. Whilst it was originally intended for gaming, the product proved popular with researchers and developers keen to find alternative uses. Although the Kinect was discontinued as a commercial product in 2017, they are still easily obtainable second-hand. “The main reason that Microsoft Kinect was used is that it doesn’t require the patients to attach any sensors to their bodies in order for the system to detect FOGs,” said Dr Amini. Once FOG is detected, the system casts two laser lines on the floor, perpendicular to the direction the patient is facing. This visual cue stimulates movement in the patient and helps relieve their gait. “We tested the system’s capabilities and detection success rate by inviting healthy participants during the prototype phase, as well as inviting real Parkinson’s disease patients to a focus group, where we demonstrated our system in action,” said Dr Amini. “The results showed the possibility of employing the system as an indoor and on-demand visual cue system for people with Parkinson’s, that does not rely on the subject’s input or introduce any additional complexities to operate. Gamers’ charity SpecialEffect are proud to confirm their involvement in the design and testing of Microsoft’s Xbox Adaptive Controller, a customisable Xbox Wireless Controller designed primarily for gamers with limited mobility. The controller features large programmable buttons and connects to external devices such as switches, buttons, joysticks, and mounts, to help make gaming more accessible for everyone. The charity were one of several accessibility non-profits and special interest groups asked by Microsoft to be in involved in the planning and development phases of the controller. Other organisations included The AbleGamers Foundation, The Cerebral Palsy Foundation, SpecialEffect and Warfighter Engaged. 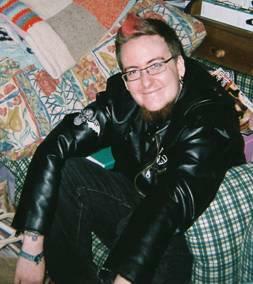 This also included a large number of gamers with accessibility needs who work with and through these organisations. Cartoon Network has launched the Emmy® Award-winning Cartoon Network app on Xbox One, allowing fans to stream their favorite Cartoon Network shows seamlessly from consoles. The app is free to download today via the Xbox Games Store. The Cartoon Network app puts the best of Cartoon Network’s wide array of original programming all in one place, including select full-length episodes from hit series like Adventure Time, Steven Universe, Teen Titans Go!, Ben 10, O.K. KO!, We Bare Bears Mighty Magiswords and more. Watch exclusive “See It First” premieres before they air, hilarious clips, customized video mixes and other exciting content. Fans are able to access Cartoon Network’s award-winning programming on Xbox One devices by logging in with their TV service provider user name and password. Additionally, select episodes and bonus content are available on the app for fans to enjoy without authentication. 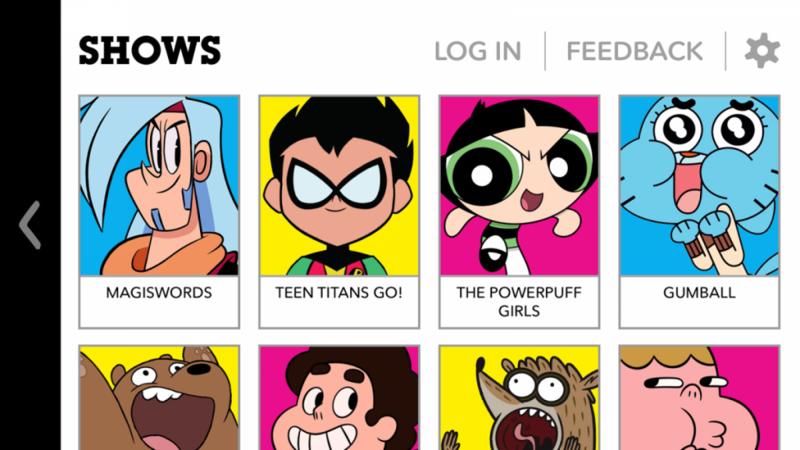 With over 20 million downloads, the Cartoon Network app is also available on iPhone, iPad and Apple TV through the App Store, as well as Android devices via Google Play. ​Continuing GameMaker Studio 2’s banner launch year, YoYo Games has officially partnered with Microsoft to give developers access to the Xbox Live Creators Program. With GameMaker Studio 2’s simple-to-use 2D toolset in hand, game creators can now quickly and directly publish their games to Xbox One consoles. The Creators Program’s minimum certification process has no requisite concept approval process. Once Xbox Live sign-in is implemented and Gamertags are displayed on the user interface (based on standard Windows Store policies), indie developers can easily bring their games to both PC and console environments. 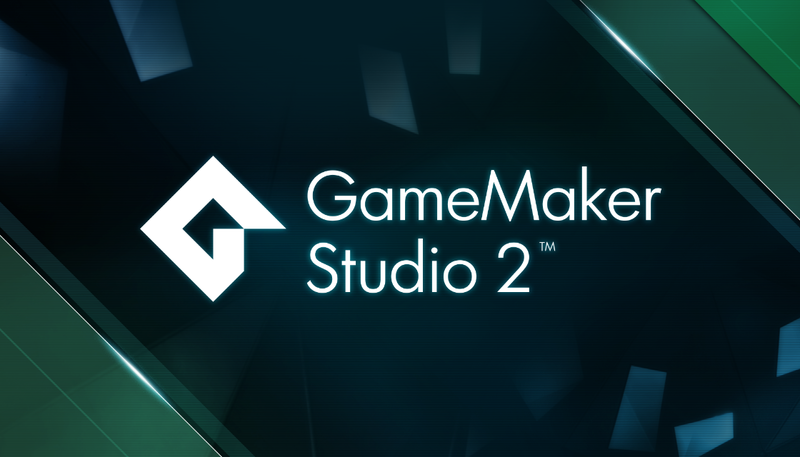 To follow the latest news on Game Maker Studio 2, check out YoYo Games on Facebook, Twitter and YouTube. Pocket Sized Hands, A VR/AR/MR startup based in Dundee, will be traveling out to Seattle to represent the UK in Microsoft Imagine cup world finals with a chance to win a prize worth over $200,000 with their game Honeypot Espionage. Pocket Sized Hands is the only Scottish team left in the competition and one of only two computer games in the final stage of the competition. The Imagine Cup is an annual competition that empowers the next generation of student developers and aspiring entrepreneurs from across the globe, to use their creativity, passion and knowledge to create applications that shape how we live, work and play. Every year tens of thousands of students from across the globe compete for cash, travel and prizes and for the honor of taking home the Imagine Cup. Which puts Pocket Sized Hands, the first team to represent Abertay University at the world finals, against prestigious Universities, including the University of Oxford, the Massachusetts Institute of Technology (MIT) and the University of Tokyo. 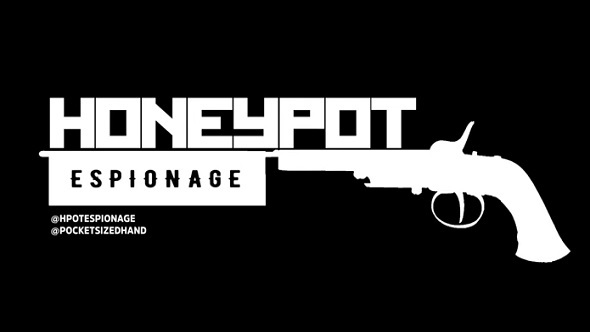 Honeypot Espionage is an online Virtual Reality multiplayer shooter, focused on stealth combat, in which you are put against other Spies in a combat arena. The last man standing wins. As a Spy, you are completely invisible, but you will begin to materialize if you move, fire a weapon or set a trap. If you don’t want killed, stay still. Think Predator meets SuperHot. The slower you move in real life the harder you are to see. You can set traps and decoys to trick other players into revealing their location to try to come out on top. Multiple game modes allow you to fight the way you want. Team up with others to break into the High Security Government buildings to steal classified documents. Guard the VIP and keep them hidden from potential assassins. Classic Death match where you use your abilities to search out others to get the first and last kills. Stay hidden, only move to Kill. Multiplay, the company behind the largest gaming festival in the UK has today revealed the games Microsoft will be showcasing at Insomnia58 this August bank holiday. The blockbuster titles join an already exciting line-up, making this summer’s event the best place for fans to try the latest games. Upcoming releases from Microsoft’s biggest franchises, all highlights of its E3 presentation, will be available to play for the first time in the UK, including Gears of War 4, Forza Horizon 3 and the latest zombie epic, Dead Rising 4. All Titles will be exclusive to Xbox One and Windows 10 PC, with the majority being part of the Xbox Play Anywhere programme. Gears of War 4, the cover based shooter, features an all new cast of characters, including JD Fenix, the son of the legendary Marcus Fenix. Set 25 years after the events of Gears of War 3, the newest instalment in the franchise is set to be a huge hit with Xbox fans. Insomnia58 will be the first time driving game fans in the UK will be able to experience the fast-paced action of Forza Horizon 3, experience thrilling racing, addictive gameplay and stunning graphics. The Xbox One timed exclusive, Dead Rising 4, due for release later in December, will also be at Insomnia58, giving fans of the ever popular zombie-smashing genre exclusive access to the hotly anticipated game, months before its release. Additional titles on display include Remedy’s Quantum Break, fighting classic Killer Instinct as well as the exciting new Xbox exclusive action-adventure Recore. Microsoft is also bringing the latest details on Indie games such as Cuphead, Everspace, Raiders of the Broken Planet and The Turing Test. Insomnia58 is taking place at the NEC, Birmingham from 26-29 August 2016, with day tickets available online from £25: https://insomniagamingfestival.com/tickets/.